Due to some limitations with our in-house resources (i.e.- people & time), we are looking for a vendor selling Microsoft Office e-learning modules that we can use in our LMS (Cornerstone). We definitely do not want Skillsoft and everything else that we've found is either video or in-person. We want something that is self-paced and interactive. Some video clips might be fine but we want a learning experience that is more hands on than video based. Of priority we are looking for Excel, Outlook, and Word. Other MS products would be a perk but those are the 3 most important. We have about 5200-5300 employees. I'd recommend checking out OpenSesame. OpenSesame supports over 20,000+ courses in the cornerstone LMS and has courses on Microsoft Office products that are interactive! 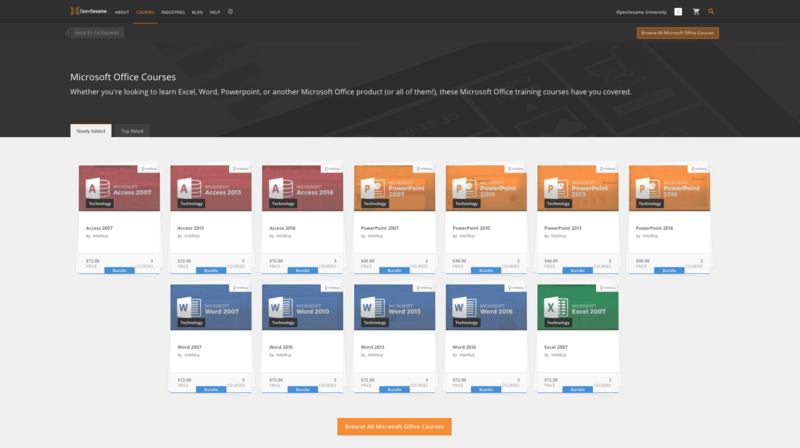 You can browse the Microsoft products here and learn more about OpenSesame for your business here. I have a full suite of Microsoft Office elearning. If you would like to contact me support [at] elearn.lu I will be able to help you.